Editor’s Note: This post comes from our good buddy and JHT Contributor, @TheLachmanTest. Give him a follow on Twitter. Let’s start with a recap. The team limped through September with an anemic offense, a general lack of energy/urgency and ended with a 2-2 record. After watching all 4 games in person, the overall lack of enthusiasm was probably what stuck out the most. It was a top down effect. A head coach who impersonated a statue on game day led to a quiet team and bench, which in turn led to lethargic play and a DOA crowd. The goose egg against a downtrodden Longhorns team was the last straw, and led to the Weis’ dismissal. 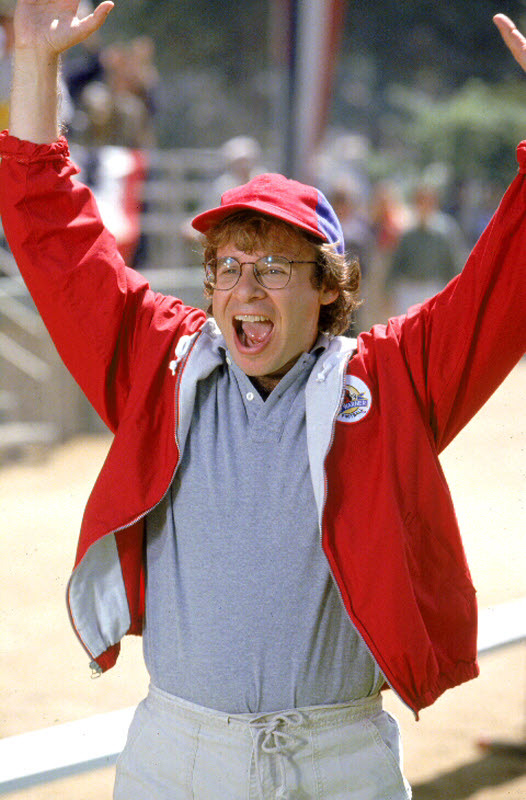 Clint Bowen, a dyed in the wool Jayhawk, has been elevated to interim head coach for the remainder of the season. Throughout the course of the week, through various media interviews, he has exhibited a passion, enthusiasm, and understanding of KU football which we have not seen in a long time. So he talks the talk, but can he walk the walk? The schedule does him no favors with 3 of the next 4 games on the road, all against up-tempo, spread offense teams. Wins are going to be hard to come by, but if he can get this team to compete on defense AND offense, limit mental mistakes, and play with a sense of urgency, I would say he has at least righted the ship. 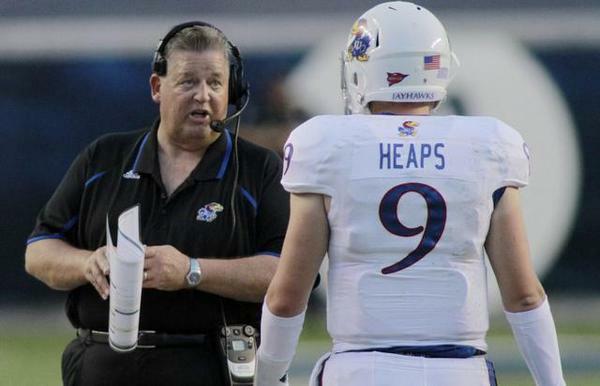 Back in August, Charlie Weis asked us to give him September, and he would give us a reason to come in October and November. Turns out his words were prophetic, but not in the way he intended. If the status quo had remained in effect, the already poor fan support would have given way to complete apathy. 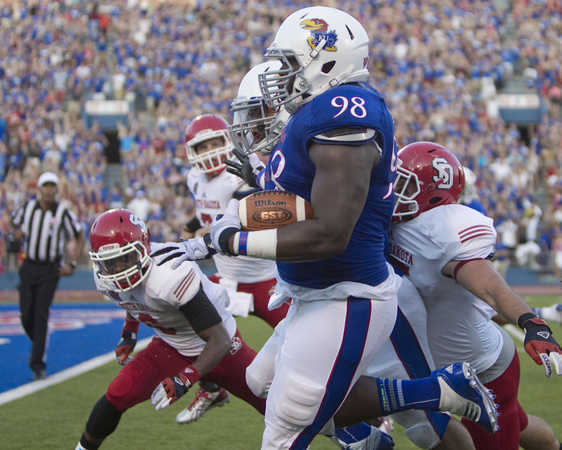 Now, under the command of one of its own, KU football will be worth keeping an eye on for the next two months. 10/4/14 @ West Virginia: One of few highlights from last year was home win against the Mountaineers. 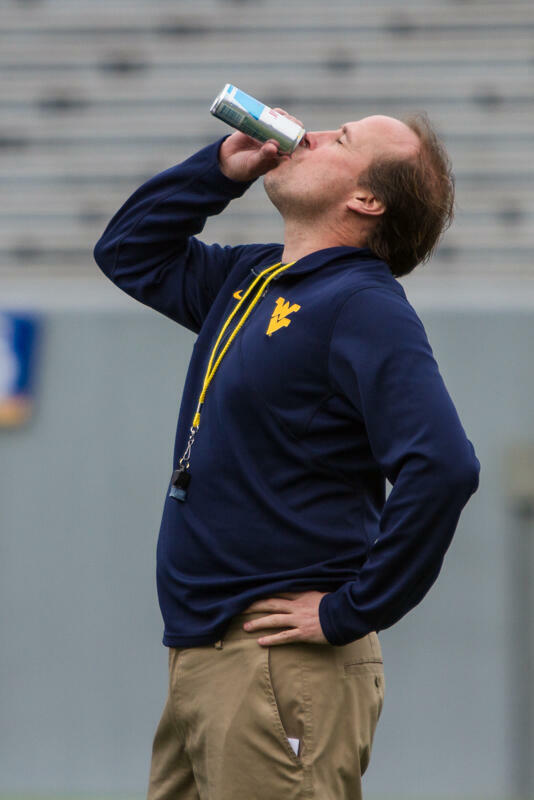 Dana Holgorsen is on record as saying the loss “makes me want to puke.” Hey Dana, you sure it isn’t the 15 sugar free red bulls you drink every day? Anyway, the Mountaineers come in with a 2-2 record as well, but their 2 losses were to Alabama and Oklahoma. Their offense seems better than last year, but the defense is giving up over 33 points a game (not counting Towson). 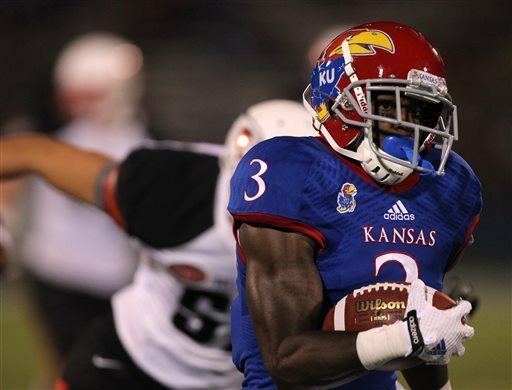 Why does KU have a chance? 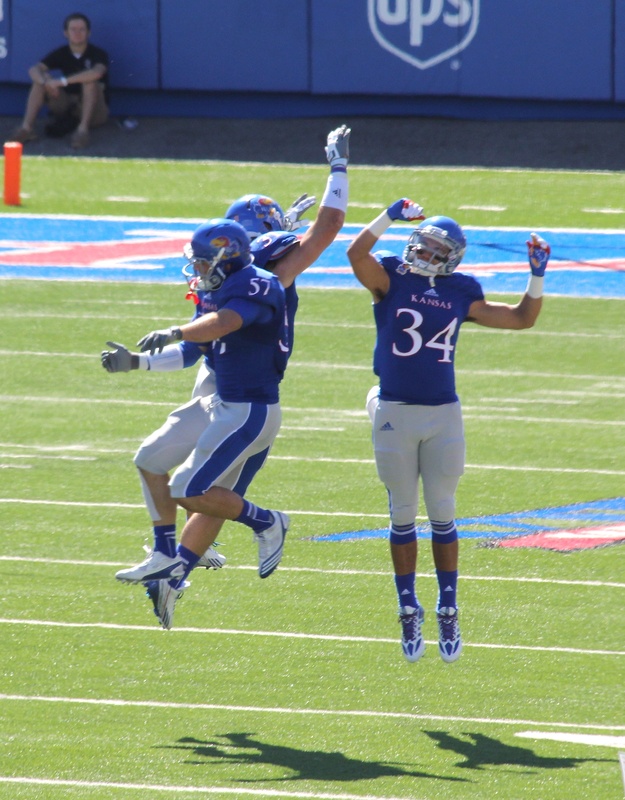 One, because Bowen and the Jayhawks have nothing to lose and could have some tricks up their sleeve, and two, because Dana can easily pull a coach Klein trying to guess what KU is going to try to do on the field. 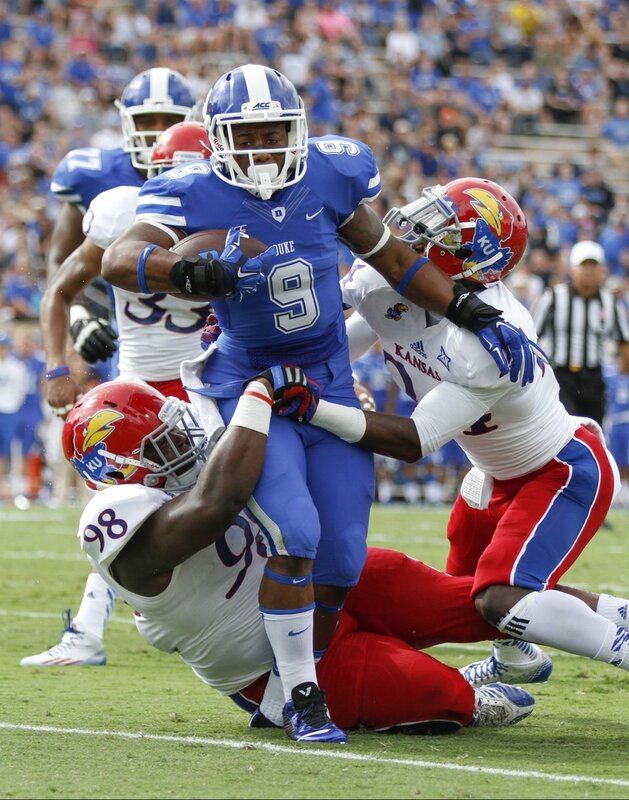 10/11/14 vs Oklahoma State: Two years ago, in Lawrence, after an extended rain delay the #freemichaelcummings hashtag was finally answered in the 3rd quarter. What followed was a frenzied comeback from being down 20-0. 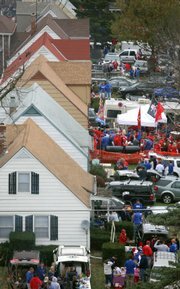 KU was a 4th down pass and a roughing the kicker penalty away from pulling off a miracle, losing 20-14. This year, the pokes come back to Lawrence, with the same M.O. — a high powered offense and an average defense. Unbelievably this will be their first true road game of the year. When can KU get a schedule like that? 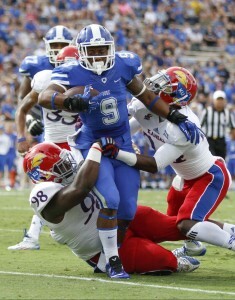 Can a stout KU defense take advantage of first year junior starter Daxx “I have 2 Xs in my first name” Garman? There is a small chance. 10/18/14 at Texas Tech: A few weeks ago, the defensive coordinator for Texas Tech was forced to resigned. This was surprising because with the defense giving up 39 points a game, I did not think they had any defensive coaches. This is your typical Tech team with the air raid offense and 11 dudes physically on the field on defense. I smell a decent chance for an upset here. Yes, I said it. 11/1/14 at Baylor: Remember when Baylor was everyone’s homecoming game? 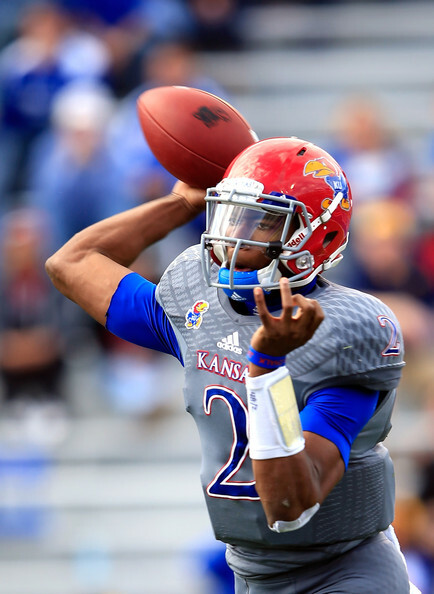 Now that mantle has been passed on to KU, with the rapid ascent of Baylor football. There is no way to sugar coat this one. KU is playing at Baylor during their very first homecoming in their brand new stadium. They are steamrolling teams with their juggernaut offense, something KU could only dream to keep up with. 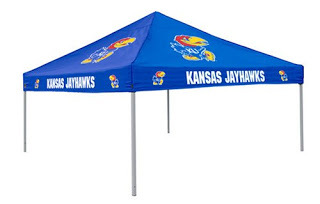 A sliver of hope is that Baylor is looking ahead to their game versus Oklahoma the following week, and perhaps KU uses it’s bye week prior to the game to install an all trick play offense including the swinging gate, the fainting goat, the statue of liberty and the ugly kardashian. Adopting a no punting/only onside kicks strategy is also an option. 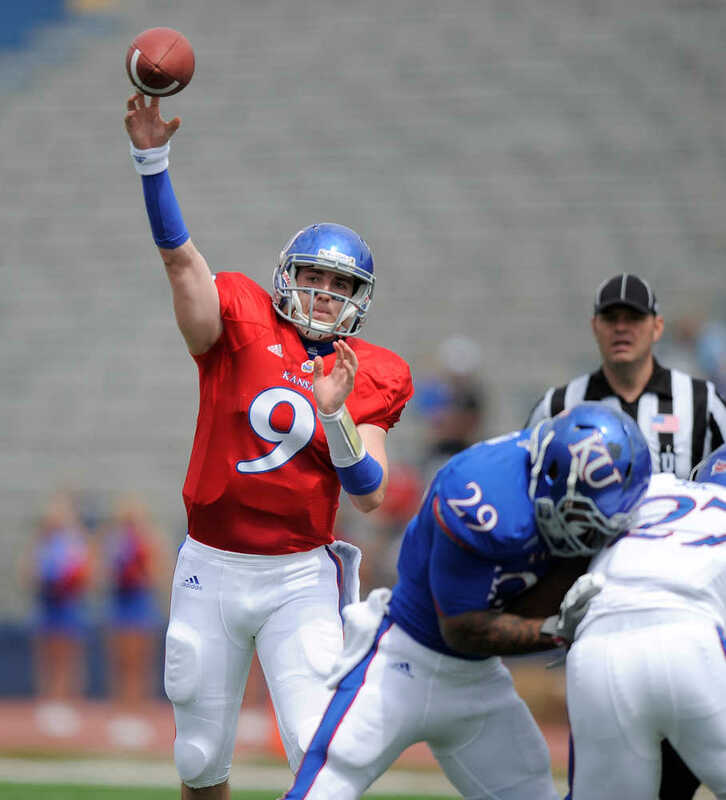 Fun side note: Seth Russell committed to KU, before switching to Baylor to be their back up QB. Sigh. The guys are back and are ready for some foooootball. They preview the football season, talk about the SEMO (preseason) game, give some predictions, and preview the Duke game. 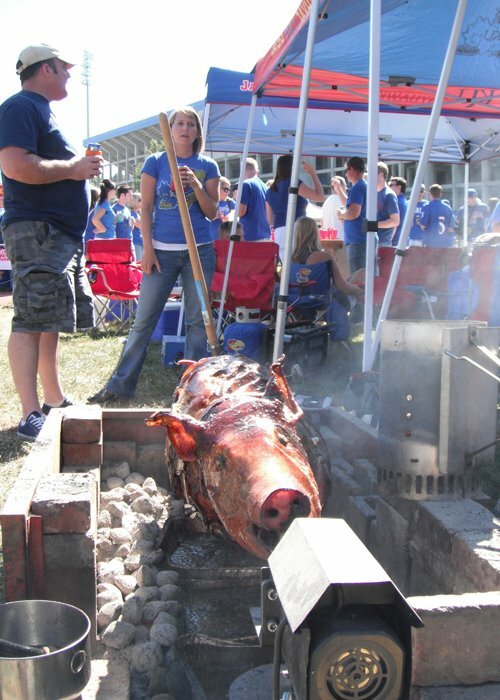 Come on in, grab a beer, and enjoy yourself a little Jayhawk Talk Podcast!